The Lok Sabha Elections 2019 is underway as the first phase begins today across 20 states. 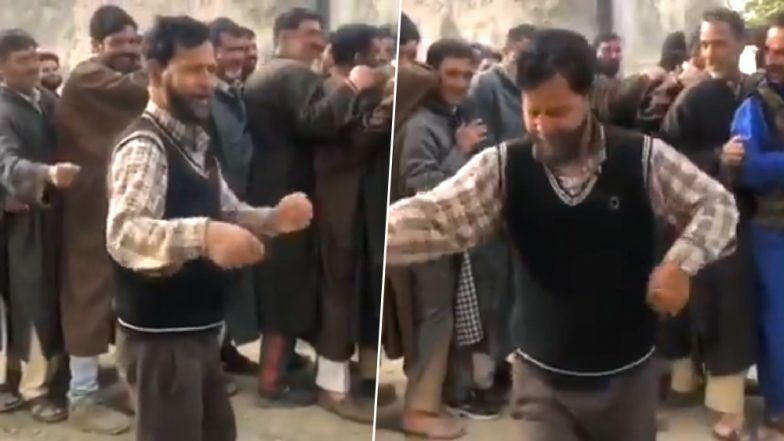 Voters are lining up at polling booths to cast their votes and one enthusiastic voter from Bandipora in Baramulla constituency in Jammu and Kashmir is winning hearts on the internet. This voter danced his way to the polling booth and had a smile on his face throughout. The video has been shared on social media and people are just happy to see his enthusiasm. Polling began for the Baramulla and Jammu Parliamentary seats this morning. There has been 5.97% polling recorded in Badnipora upto 9 am. Lok Sabha Elections 2019 Phase-I Voting Live News Updates. The Jammu and Kashmir region has been a volatile region in the past and people are hopeful of some change in the situation after the elections. One of the voters named Ghulam Mohd was quoted to ANI, "This time we want to vote for someone who would raise our specific issues in Parliament, we want harmony in the region and as you can see voting is underway smoothly and in a peaceful manner." Jammu and Kashmir Lok Sabha Elections 2019: Phase I Voting Underway For Baramulla And Jammu Seats, 11.43% Polling Till 9 AM. Within an hour the video has crossed more than 2000 views and being retweeted by many. He looks so happy and positive about him casting a vote. The others around also amused by his enthusiasm and seen encouraging him. The voting for the General Elections will take place in seven phases across the country to decide the names of 543 Members of Parliament (MPs). The polling will take place from April 11 to May 19. The results for the same will be announced on May 23.